Funko has unveiled its upcoming line up of Solo: A Star Wars Story vinyl figures, including a huge series of movie specific Pop! vinyl figures! The standard Solo: A Star Wars Story Pop! Series includes Han Solo, Chewbacca, Lando Calrissian, Qi’Ra, L3-37, Tobias Beckett, Val, Enfys Nest, Rio Durant and a Range Trooper. Each Solo Pop! stands 3.75” tall, features one point of articulation and comes packaged in a full color displayable window box. Collectors can pre-order these Star Wars POP! figures now at Entertainment Earth for $10.99 each here. 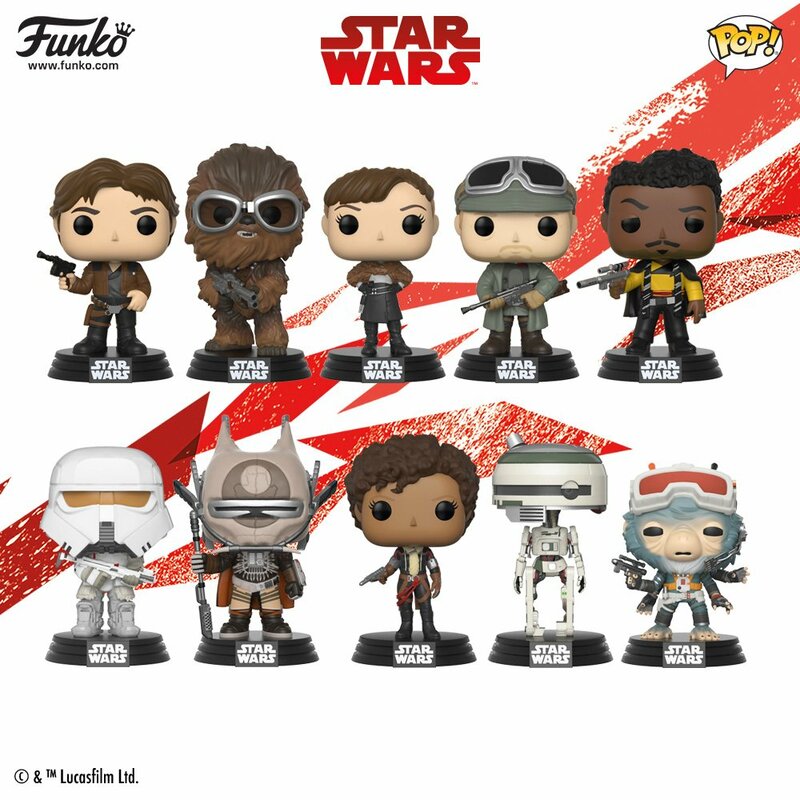 There will also be a ton of retailer exclusive Solo: A Star Wars Story Pop! vinyl figures released in the coming months! 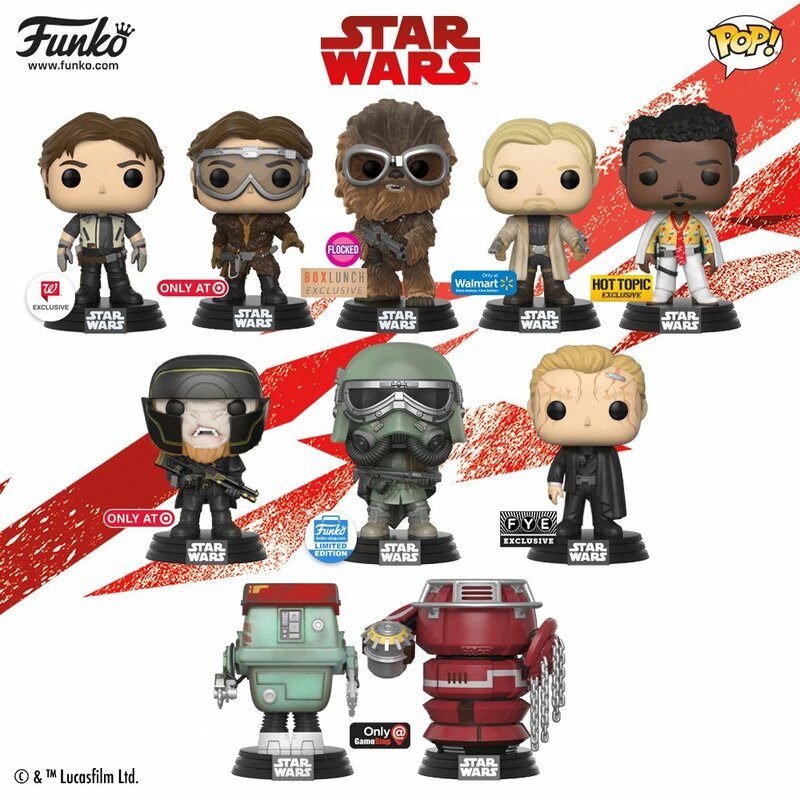 This includes a Walgreens exclusive Han Solo, Target exclusive Han Solo, Target Exclusive Dryden Gangster, BoxLunch exclusive Flocked Chewbacca, Walmart exclusive Tobias Beckett, FYE exclusive Dryden Voss, GameStop exclusive Fighting Droids 2 Pack, Hot Topic exclusive Lando Calrissian, and a Funko Shop exclusive Mudtrooper. Good luck hunting all these down!